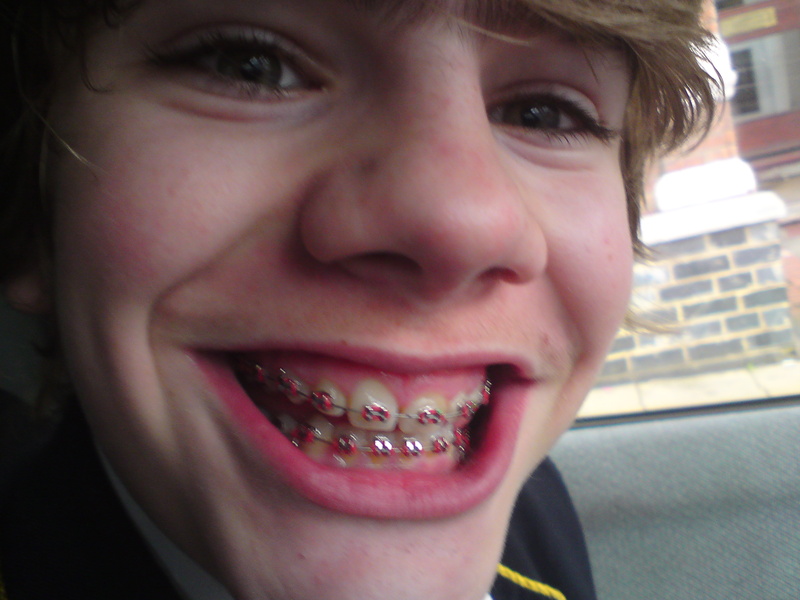 JED has new braces. This time they are fixed. Well, they were fixed to most of his teeth for about a day anyway. Then two of the brackets glued to his gnashers pinged off. Earliest appointment to have them re-glued was four days later. Why, I asked, did he need fixed braces anyway, having already endured a removable one all last year? One which had realigned his overbite by about eight millimetres? Despite looking like he had a perfectly normal smile (not that 13-year-olds smile much, beneath their floppy fringes) his teeth had slowly reverted to their original position. So I’m moaning about another 18 months of appointments, his painful hour of treatment when the orthodontist manhandled the thing into his gob, and the £17 needed for a special brace-face sports gumshield. And I’m questing the need for braces for all these kids, who seem to be in on a virtual conveyor belt of fittings at specialist orthodontist clinics, paid for by the NHS. But Jed just shrugs and says he’s not bothered about being called ‘braceface,’ and is actually pleased I make him go to the dentist. What? Are you mad? Why? Look around, he says, at the kids with literally rotting, missing teeth. He knows teenagers who haven’t been to the dentist for years. Their parents don’t go, so they don’t. Or the parents give them a choice – so they don’t go. I can’t quite believe anyone would be daft enough not to make their children go to a dentist. Haven’t you ever had toothache? When your jaw hurts so much you bang your head on a wall as a distraction? 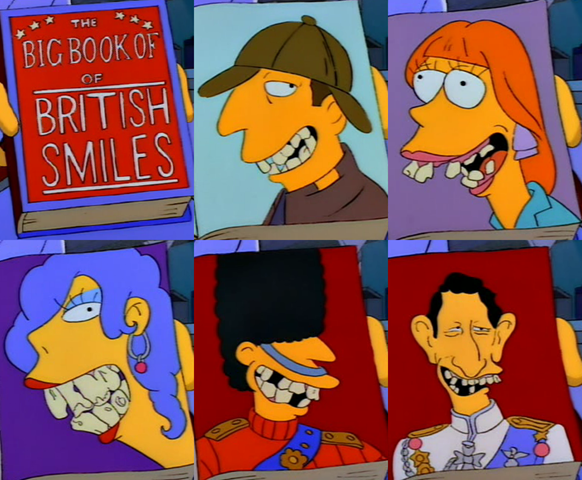 You’ve seen the Simpson’s episode with the Big Book of British Smiles, yes? Do you want that for your kids? A lot of dentists no longer offer NHS treatment. I ranted and raved when our family gob-doctor opted for cash over customers and went private. But there are plenty of dentists out there who take new NHS patients and you can find them via www.nhs.co.uk by clicking on dentists and typing your postcode. I found 19 surgeries accepting new patients within five miles of Northampton town centre. But I suspect many adults avoid the dentist, and by default, don’t send their kids. The NHS price for adults is shocking. A check-up, if you aren’t on any kind of benefit is £17. Once every year? Most of us could just about manage that. But if you need a filling, root canal or extraction, it’s £47. That’s a lot of money. Then the jump to the ‘Band 3 course of treatment’ – ie, crowns, dentures and bridges – that’s an incredible £204. Roughly translated: “That’ll be £20 to have a quick look, £50 to mend something and £200 to replace it.” Regardless of how big or small the job. If you don’t want to go the dentist as an adult, that’s up to you. But that’s no excuse for not taking/ sending/dragging your kids there. Dental treatment for those under 18 or under 19 in full-time education, is FREE. Get your mouth sorted now kids, while you can still afford to. Very great advocating for dental care for kids. I had been putting off some dental work for my young son because I dreaded how difficult it was going to be for him. But you are right, it only gets more expensive and painful the longer it’s put off. By the way, your son managed a wonderful smile for a teenager! 🙂 I live in the US so our dental coverage options are probably very different, but I’ve found some really great dental information and tips on this Mom’s Guide to caring for little teeth. Getting your kids to the dentist before they reach 18 years old is the best movement you can make to save money and have your kid’s teeth healthy. I did the same few years ago when my daughter was 16 years old and got braces. Now she is a young lady with perfect teeth and shine smile. A very closed friend of mine missed this window and decided to have dental treatments abroad for his son. Came back very satisfied and even after years no problem occured.